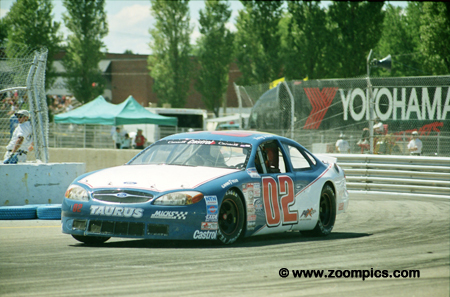 Race number eight of the 2001 Canadian Association for Stock Car Auto Racing (CASCAR) series was held on the streets of Trois-Rivières a 10-turn 2.43-km track located near the St. Lawrence River in Quebec. This would be the series inaugural event at this venue. Racing on a street circuit would not be new to the competitors as a previous round was held at Toronto’s Exhibition Place. But they would still be required to manage their equipment especially the brakes. The series cars were constructed to specifications and rules common to most stock car series. The chassis was a tube frame covered with fiberglass bodies and were required to weighed no less than 2850-lbs. Engine type and displacement were related to the make and model of the car – motors produced approximately 400 – 420-horsepower. The carburetor was Holley 390 cfm, 4-barrel. Attendance was estimated at over 40,000 race fans for the 42-lap feature that took place Saturday afternoon. Twenty-three starters line-up on the pace lap – they about to enter Trois-Rivières' very tight turn-eight – which is called 'Ryan' corner. 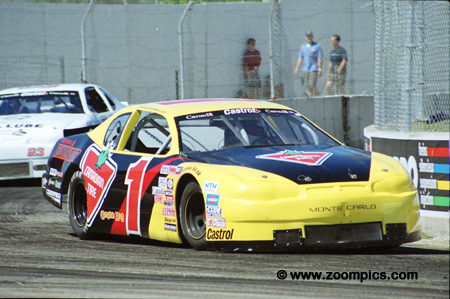 On the front row was series point’s leader Don Thomson Jr. in the black Home Hardware Chevrolet Monte Carlo and next to him, also in a Monte Carlo, is Peter Gibbons driving with support from Canadian Tire. Don Thomson sprinted into the lead and maintained a comfortable margin until lap-35. A full-course caution allowed the field to bunch-up. At the end of the yellow flag period, Thomson was again able to pull away until the final lap. He was heading into the hairpin turn for the last time when the clutch broke. The car was unable to go any further and he finished tenth – 1-lap behind the leaders. It was Peter Gibbons who benefited the most from Thomson’s misfortune. He ran second to Thomson but was never close enough to pose a serious threat. But with Thomson’s retirement, he took the win. 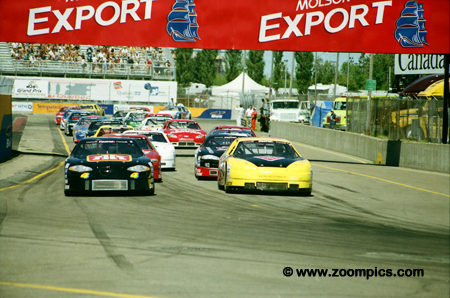 Just a week before, Gibbons was victorious at Montreal’s Autodrome St-Eustache. In 2001, he would become the series’ first two-time race winner. Ford Taurus driver Kerry Micks finished third in the race after fighting his way through the entire field. Although Micks qualified fifteenth, he pitted before the green flag to have his front wheels torqued and was relegated to the rear of the twenty-three car pack for the start of the race. Advancing twenty positions was a huge accomplishment. There were two females entered at Trois-Rivieres – Kelly Williams and Teri MacDonald-Cadieux. Williams drove the No. 31 Pontiac Grand Prix. She began her racing career in 1989 and in 1994 joined the CASCAR series where she earned the 'Rookie of the Year' title. At the Trois-Rivères event, she qualified seventeenth and finished fifth. The second female driver in the race was Teri MacDonald-Cadieux. She drove the No. 8 Chevrolet Monte Carlo. 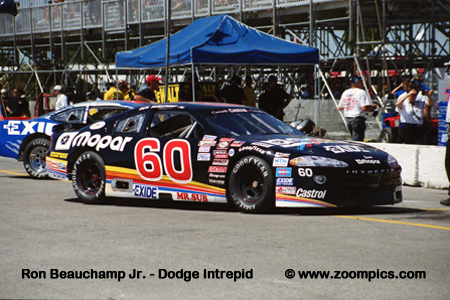 MacDonald-Cadieux was a CASCAR rookie but her racing resume was extensive having competed in road racing series from 1990-1998. She had also been a member of CART’s PPG Pace Car team. MacDonald-Cadieux finished behind Kelly Williams after starting twentieth. The No. 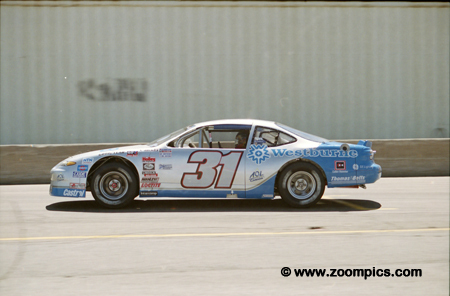 88 Ford Taurus was driven by veteran Dave Jacombs. Jacombs began racing in 1978 at Flamboro Speedway. 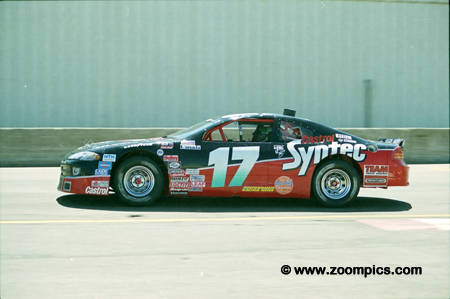 Prior to joining the CASCAR series in 1994, he drove in NASCAR’s Pro Modified division. At Trois-Rivières he qualified towards the back of the field in nineteenth but finished fourth – just missing the podium. D.J. Kennington was quick in practice and was fourth fastest in qualifying. At the start, Kennington showed patience after being shuffled back to sixth at the start. He slowly worked his way towards the front, climbing to fourth by the halfway mark and into third by lap-30. Entering the last corner on the final lap he passed Don Thomson’s broken car and finished second. Road racing veteran Robin Buck was included on the list of favourites to win the Trois-Rivières event. In 2001, the driver of the No. 66 Pontiac Grand Prix driver concentrated his racing program on the series four road course races. This appeared to be a good strategy as Buck won the Toronto event. 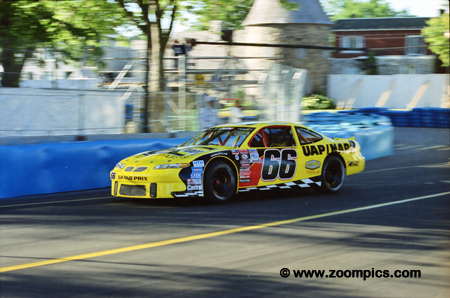 At Trois Rivieres, he was off the pace qualifying seventh and finished a lap down to the leaders in sixteenth. 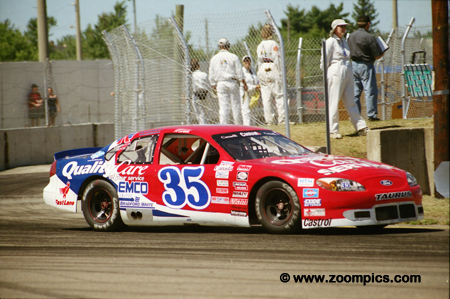 Initially, Kevin Dowler was best known to Canadian race fans for his success in the Players/GM Motorsports series. In 1991 and 1992 the Alberta driver finished second in the championship. 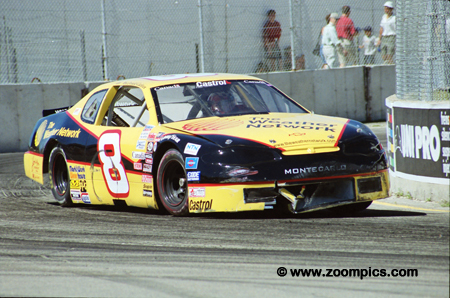 When the Players/GM series ended, he began racing with CASCAR. 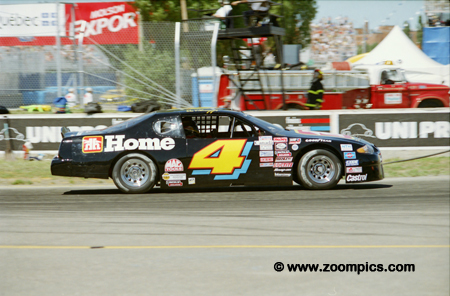 In his second year of the CASCAR series, he won the Western title. 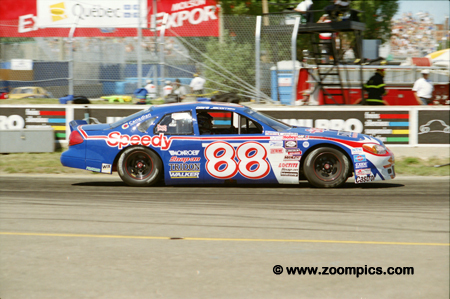 Dowler started ninth at Trois-Rivières and finished tenth.